SEVILLE, Spain — Jaguars are the supermodels of the automotive world. The same hormonal twentysomething guys who can rattle off the names of Victoria’s Secret models can name every silhouette ever belonging to a Jaguar, from the feline grace of the E-Type to the shapely rear ends of the Mark 2. 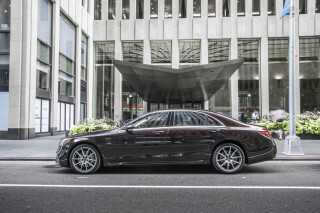 The S-Class or BMW 7er? Some bridesmaids just make the bride look prettier. So it’s a strange juncture in automotive history when the story of the new Jaguar XJ sedan is all about its body — but not how it fairly drips with sexual double entendres. The tale told by Jaguar’s engineers this time around is the way the new XJ is built and put together to please the pickiest luxury buyer. If it sounds like a Lexus tactic to you, that’s how it sounds to us, too. The brains before beauty is an unfamiliar gambit for Jaguar. The XK8 could be made out of adobe mud and it would sell, it’s so freaking beautiful. But this XJ is meant to seduce you with its space-age body and then impress you with its intimate knowledge of heat-cured bonding techniques. It’s the car you meet in the college library stacks, not the physically amplified mind donor you’d rescue from the brass pole at Cheetah’s. The fundamental structure and architecture of the new XJ8/XJR will leave techies breathless over engineering hurdles overcome. The unibody chassis of the XJ family is now made of aluminum, not weightier steel. The decision to switch base metals came early in the development program, when Jaguar engineers realized that maximizing the XJ’s interior space would also add on unseemly poundage. 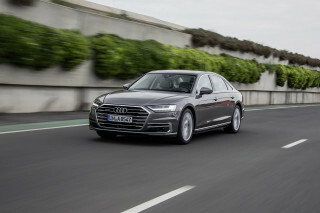 Aluminum was an answer but the existing space-frame aluminum cars like Audi’s A8 were deemed a less than optimal solution. Jaguar arrived at a more exotic technique, one that owes a lot to the folks at Boeing and Airbus. The XJ’s unibody sections are stamped in large pieces and then riveted and glued together with aerospace-quality bonding agents that are heat-cured to provide an equivalent to a welded seam. The technique, they say, will allow the new XJ to be repaired more easily than a space-frame aluminum car after an accident, and gives the car a curb weight 200 pounds lighter than the old XJ while it’s 60 percent stiffer than a similar body in steel. And compared to its more traditionally built rivals, Jaguar claims a more than 500-pound benefit: even the heftiest XJR checks in at less than two tons. Though it has more first-time technology than any Jaguar preceding it, the ’04 XJ may be the least distinct shape to emerge under the badge since the square-lamped Jags of the early 1990s. It’s no afterthought, and quite handsome from any three-quarters view, but from the side the lines of the newest edition echo some pointedly less expensive competitors. At a gas station somewhere near the border of Spain and Portugal, we studied the sideview of the new Jag and found some uncanny resemblances to Buicks from the early 1990s, which knowingly copied Jaguar lines in as GM tried to steer the brand out of God’s waiting room. 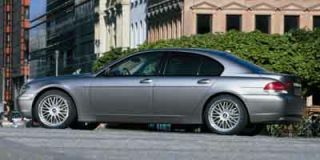 The similarity in shapes is a consequence of making the Jaguar’s interior package more competitive in head and leg room; the formerly droopy Jag tail is gone, but in its place the trunk height is taller. Too, the roofline is higher to accommodate adults better. Jaguar claims two more inches of front-seat leg room, a much roomier rear seat, and a trunk 25 percent larger than previous edition (four sets of golf clubs if you’re counting that way). The back seat even comes with a choice of an electric rear seat for three that allows some backrest tilt, something that would have surely violated the Geneva Protocol in the old XJ. 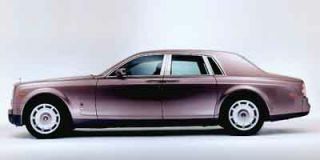 The XJ8 and Vanden Plas inherit the 4.2-liter V-8 that first appeared last year in the S-Type sedan and XK coupes. 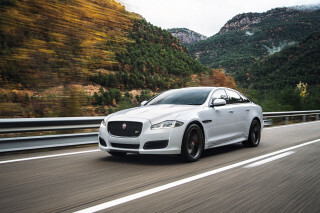 Its output is up to 294 hp and 303 pound-feet of torque, and motivates those editions pretty keenly through a standard ZF six-speed automatic transmission; Jaguar claims a 0-60 mph time of 6.3 seconds and a limited top speed of 121 mph. The XJR adds supercharging to the mix, and with the muffled whine that seems particular to British cars of distinction, spins out 390 hp and 399 lb-ft of torque through the same six-speed gearbox (no manual is offered). The combination of more advanced engine control, the six-speed gearbox and a much lighter body shows in the XJ’s preliminary fuel-economy figures. The XJ8/VDP gets 28 mpg on the EPA highway cycle, while the XJR turns in 24 mpg while accelerating to 60 mph in 5.0 seconds and topping out at 155 mph. The rigidity of the Jag’s body and its powertrain are complemented by independent suspensions front and rear, with air springs that replace the normal coils and springs and lower the body by 15 mm at 100 mph to increase stability and improve fuel economy. The air springs also have computer-actuated, two-stage damping. Anti-lock brakes are twinned with electronic stability control and electronic brake assist to shear the edges off the XJ’s handling envelope for those who need the help; traction control for unruffled launches is also standard. Safety equipment is comprehensive. Dual airbags front and side are fitted to every XJ. 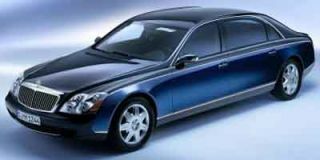 And Jaguar says the XJ is the first vehicle to meet more stringent safety standards demanded by the Feds for the 2008 model year. Consistency and technical virtuosity sing out from the new XJ8 and XJR, but it’s surely the XJR that will pull in the best reviews. 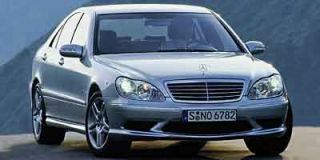 It luxuriates in its own power, and though it doesn’t pretend to the road-hammering handling of the E55 or M5, it’s a fantastic long-distance cruiser that’s truly enjoyable to needle through canyon roads, too. Egg the supercharger into its whine, let the six-speed slip down three or four gears invisibly, and the R evokes a most intoxicating combination of modern-day speed and old-world refinement. Perfectly groomed Spanish roads barely hinted at the tautness of the R’s suspension, though, and we’d have to drive one around familiar deconstruction zones to see the R at its unhappiest. The XJ8 inevitably suffers in every measure except fuel economy and base price, but it’s pretty charming to drive, too. The two quibbles that can be legitimately aimed at the XJ are its overly light steering — the speed-sensitive rack is more enjoyable in the XJR — and a slight squish in the air suspension as the car settles into a switchbacks. Taking hairpins in rapid succession means testing the air springs’ electronic responses more than most XJ drivers will ever do, and the iron-willed responses of BMW’s 5-Series just aren’t here. The performance envelope is pretty clearly letter, not legal, size. The interior resembles pretty much what people who’ve never seen one imagine: wide swaths of real walnut, highly appropriate amounts of chrome trim, thick and rich wool carpeting and creamy leather. They might not expect to find all the major controls where they belong — not always a Jaguar strong suit — but there they are, uncontroversially placed and sized down to the American-standard cupholders on the console. In the U.S., Jaguar will offer a three-model range. The XJ8 is to be joined by the Vanden Plas, with more equipment but the same powertrain, and the tuned XJR, with its supercharged powerplant, bigger wheels and tires, and uniquely restrained interpretation of extreme motoring. 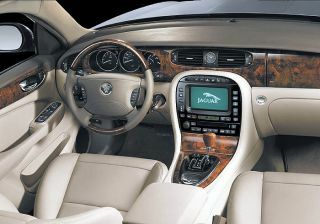 The new Jag’s interior motives are split among the various model lines, with the XJ8/VDP cars wearing ample amounts of wood and leather in traditional tones. Standard on all cars is the usual host of electronic and power assists. The front seats are 12-way power affairs; power adjustable pedals come in every new XJ. A seven-inch LCD screen gives drivers command over the heat and aircon and audio; a dual-screen entertainment system for the back-seat riders mounts the screens in the front-seat headrests and allows them to program their own entertainment, DVD or audio. 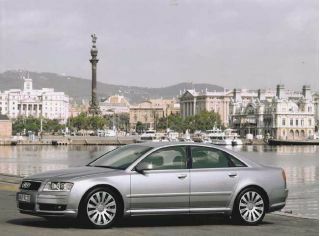 An eight-speaker CD audio system is standard, while a 320-watt, 12-speaker setup with a six-disc CD changer is optional, as is a Denso navigation system. The Vanden Plas ups the XJ’s 17-inch wheels to 18-inchers. A broader array of more mod patterns can be had on the XJR. In addition to its 390 supercharged horses, 19-inch alloy wheels and 255/40R-19 Pirelli P-Zero Rosso tires, 16-way power front seats and 320-watt sound system, stylish shoppers can order wild color combos like the smoky gray wood and black/red two-tone leather job on the XJR we favored over the hills in Andalusia. (Twenty-inch BBS wheels with 35-series treads are an XJR option. Jaguar says the pricing of the new XJ8/XJR cars will be very close to the outgoing models — say, just under $60,000 for starters. While Benz and BMW continue to dominate by reputation and excellence in this category, they might be surprised to see Jaguar now equipped to handle a much bigger share of the market than ever before. This is one supermodel that’s highly approachable. Jaguar’s position in North America as a powerful sporting luxury car means that the XJs that cross the Atlantic will all have V-8 engines and many of them will have the added steroidal impact of a supercharger. In other markets, however, where merely sitting behind a Jaguar badge is a strong influence on potential customers, the company is offering a car that looks like the V-8 but has the economy and more affordable price that comes with a smaller engine. And it’s surprisingly small, a V-6 of just 3.0 liters that gives gas mileage of 22.21 mpg (U.S.). That compares with the 21.25 mpg of the 4.2-liter V-8 that’s bound for America and 18.25 for the supercharged version. Smaller engines have traditionally not done too well in the big XJ Jaguar sedans since the days of the 2.8-liter straight six of 1968. This one, however, looks as though it could cut the mustard. The secret is the lightness of the aluminum-intensive body in combination with the smaller and lighter engine that still produces 240 hp. 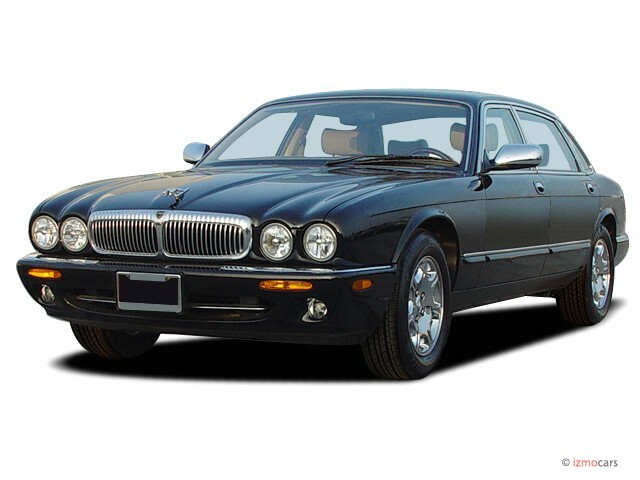 This means that the XJ6, as the 3.0-liter is known, compares well with the bigger-engined cars. Weighing in at 3406 lb, some 265 lb less than the heaviest of the V-8 versions, it has a top speed of 145 mph, against a limited 155 mph for the 4.2-liter V-8, while 0-60 mph takes 7.8 seconds. This may be tardy compared with the 5.0 seconds of the supercharged XJR, but it is quite fast enough for the kind of customers Jaguar is expecting to go for the six. Wonderful driving and riding automobile which has a beautiful style....as Jaguar always maintains a style that never goes out of style. Still get compliments after 12 years on the road. Beautiful styling, wonderful ride, great features, and great dependability.